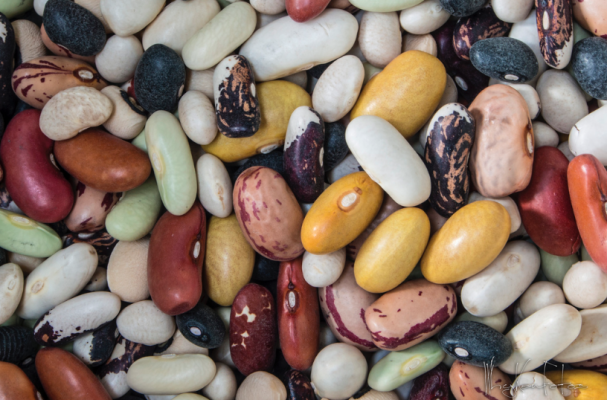 Cranberry, black, pinto, kidney, broad, speckled - at first glance you might think I am talking about horse breeds or types of flowers but beans are just as colorful and interesting. Many corners of the world rely on the humble legume as their main source of protein. Each culture has their favorite preparation but one thing remains true across geographical divides, beans are an inexpensive way to feed a lot people. A single bean is a powerhouse of nutrition. In addition to protein, they are rich in dietary fiber, low in fat, contain minerals such as copper, phosphorous, magnesium and vitamins like folic acid, riboflavin and vitamin B6. This week we will be examining the different ways beans are prepared and easy recipes for you to replicate in your own kitchen. Lentils are my all-time favorite bean. They are one of the few legumes that do not require soaking and can be cooked on the fly. This slow cooker lentil curry is great for days when you are short on time and dinner still needs to be on the table. Serve this meal with fluffy jasmine rice and a smile. Step 1: Heat coconut oil in a saucepan over medium heat. Add the onions, garlic, chile and ginger and cook until the ingredients are fragrant and onion appears translucent, about 3 to 5 minutes. You will want to stir occasionally so that the ginger and garlic do not burn. Stir in the curry paste, tomato paste, ground coriander and turmeric and cook for another 1 to 2 minutes. Season with salt and pepper. Step 2: Add the cooked aromatics to the slow cooker with the lentils and vegetable stock. Mix everything until all the ingredients are well incorporated. Set the slow cooker on high to cook for 2 to 3 hours or low to cook for 4 to 6 hours.